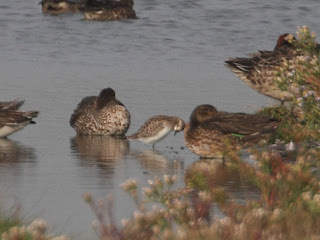 I had a text from David Campbell to say he had a day off school and should we go for the semi-palmated sandpiper at Abberton reservoir. I wanted to go for it but was hoping to pull clear of David in our British lists. Ah, well! 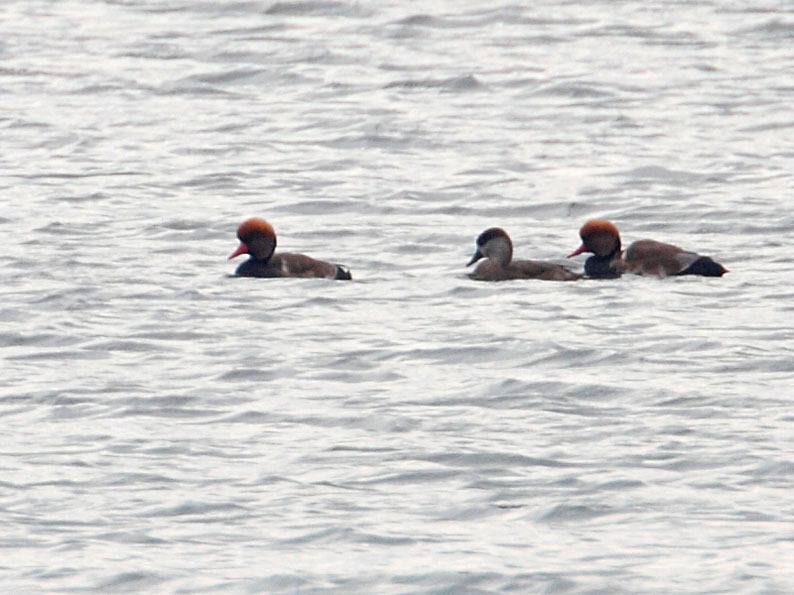 I do enjoy birding with David so off we went. We decided to go for the Baird's sandpiper at Holland Country Park first as the Abberton centre wasn't open when we arrived. The Baird's is an American wader. The hide was fairly close. It was a steel shipping container on top of another one. The bird was last seen a few minutes before we arrived (isn't it always the way!!) so some people leaving allowed us to get a seat by the window. An hour and 45 mins later the bird finally came into the open after many tantalising views of the top of its head and other small parts of its body. By the way, the main difference between this bird and a dunlin is that the wings are much longer. When the bird is standing, the wingtips extend far beyond the tail. I think this is visible in the picture below. Having got one in the bag, we quickly headed for Abberton where the reputed semi-palmated sandpiper was 500 metres away, albeit in good light. Close scrutiny of the several little stint sized birds by several birwatchers eventually concluded that the distant bird had to be the semi-palmated sandpiper. The photos I took are so distant / bad that I'm not putting them up. As an extra, little stint was a year tick for me as well! We had to get back for David's tutor so we just had time for 15 minutes on the causeway before heading home. 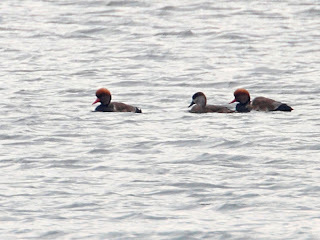 This produced 2 males and a female red-crested pochard. I was pleased about them. I had seen one in Hyde Park recently but David was not too happy that they were truly wild! Anyway, 2 lifers in one day was very satisfactory. We started back well pleased with ourselves.